Either for reasons of brain damage or because she is a liar, Hillary Clinton's memory is too poor for her to remember any rules on guarding sensitive government information. Garrison Center director Thomas L. Knapp wrote about Clinton's "comedienne" excuse about why she couldn't protect secret data entrusted to her as Secretary of State. During her time in the job, Clinton "ignored the briefings she received on handling and safeguarding of classified information, choosing to illegally use a private server for transmission and storage of that information instead of following the rules". Knapp called Clinton's "I forgot" reaction the "Steve Martin defense", in reference to a 1979 standup album. Concluding on Clinton's excuses, Knapp asked readers if they are "a strong advertisement for Hillary Clinton’s credibility and qualifications as a candidate for president of the United States". 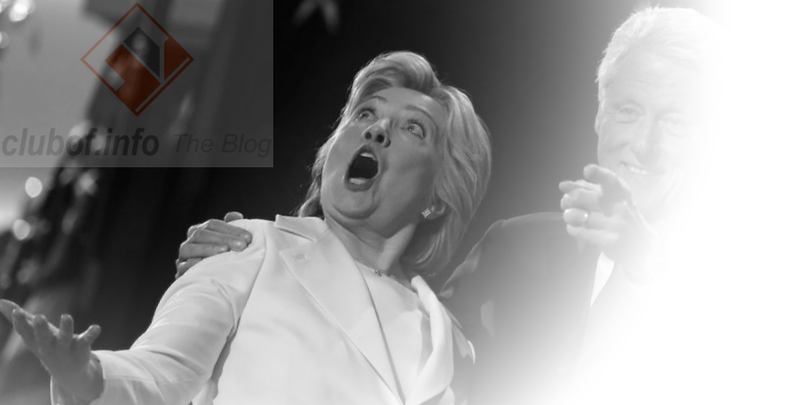 Clinton's poor health and possible brain disorder were earlier cited by Knapp as reasons she may have drop out of the presidential race or resign from office if elected.